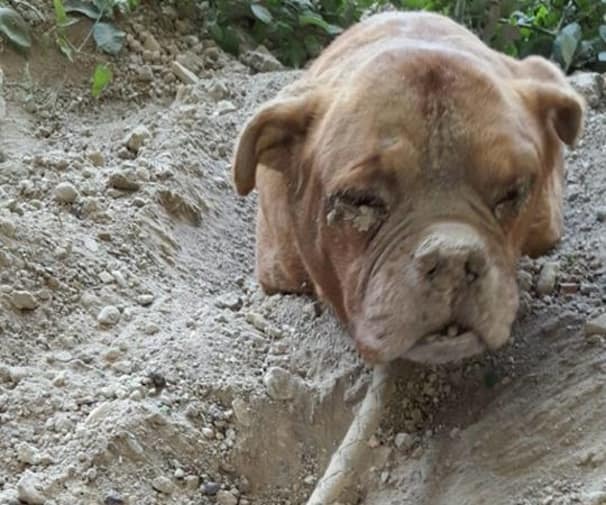 A man from France would be spending time in prison for burying his Mastiff alive. The unnamed perpetrator, age 22, was slapped with an 8-month prison sentence in Versailles for committing animal cruelty. 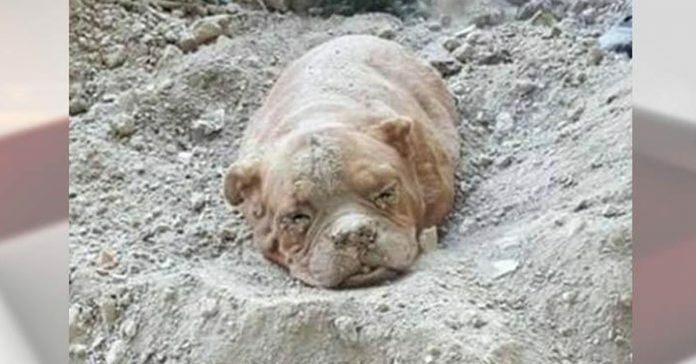 The man’s dog was rescued by a passer-by who found her buried on the ground somewhere in Carrieres-sur-Seine, which is located west of Paris. Pedro Dinis was walking his dog when he spotted the Mastiff’s head. He said it was rather difficult to find the dog because she was brown and mostly covered in dirt. Her eyes were also caking from the dust and she was showing signs of severe dehydration. As Danis scrambled to get the dog out, he realized that the animal had been intentionally buried. 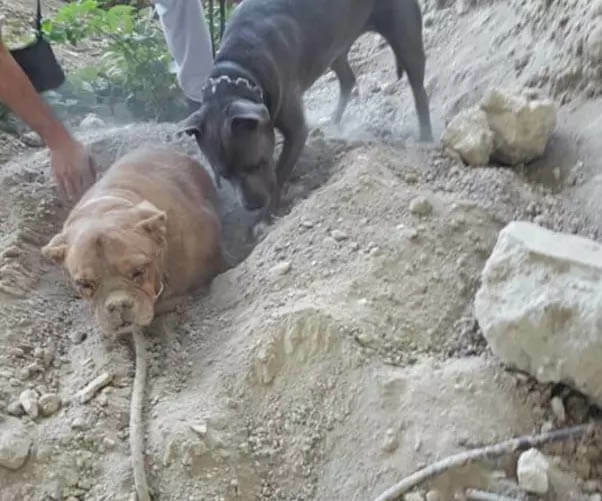 Apparently, the Mastiff’s body was tied with a rope to prevent her from moving or escaping underneath the pile of dirt. There were also stones surrounding the dog and her leash was attached to a gravel sack to further prevent her from digging off the ground. 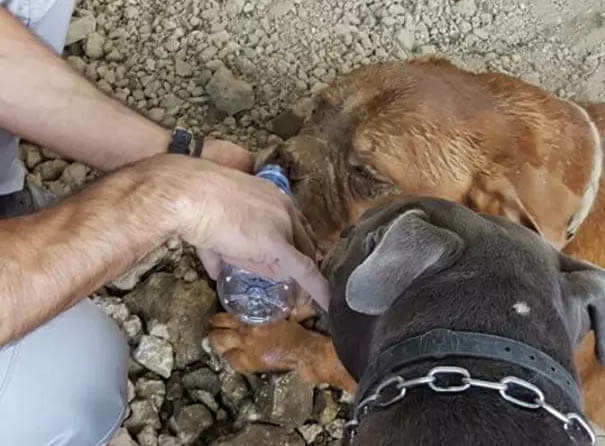 With his dog’s help, Danis was able to free the Mastiff and gave the poor pup some water, too. Then, he got help from emergency services who rushed the animal to the veterinarian. Danis also went to the police to report the crime since France has a strict law against animal cruelty. The man also posted about finding the dog on his social media, where it gained thousands of views. Someone also started a petition to ensure that the owner of the Mastiff would be sentenced heavily, if found. After the veterinarians assessed and treated the dog for dehydration, the animal has been cleared and out of danger. She has been receiving love and care with her new adopted family. Now, the police did not know how to find the owner of the abandoned dog. But upon close inspection of the animal, they noticed that she had a tattoo and so they were able to track down who owned her. However, the owner of the Mastiff claimed that the dog ran away. He also defended to the judge that he was never cruel to his Mastiff. However, based on the dog’s health assessment, it was impossible for the animal to have wandered off on his own. 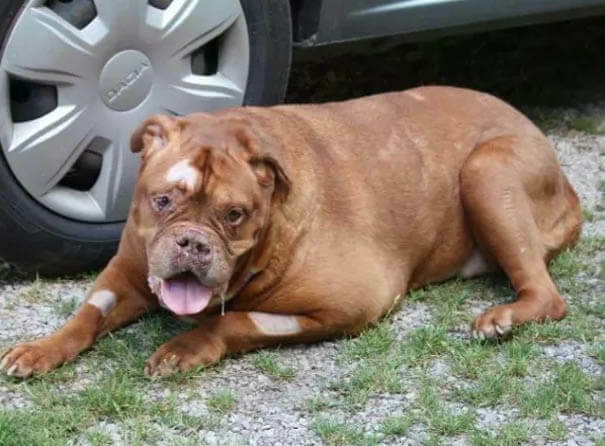 The Mastiff was already 10 years old and suffering from arthritis. The judge who heard the owner’s case was also unmoved by his reasons. Considering that he lost a dog, the judge questioned why he wasn’t doing anything to find the animal, especially with her medical condition. Aside from the jail term, the courts fined the man $1,000, which will be given to animal cause-oriented groups. He was additionally asked to pay $150 for his aggression against the police during his arrest. Reports say, however, that the dog, who was named Athena by her adopted family, has crossed over the rainbow bridge. In her final moments, she was at least able to feel how to be loved as a dog by caring humans. SEE ALSO: This Old Dog Was Shot 40 Times And Buried Alive, But Rescuers Saved And Loved Her Just In Time.